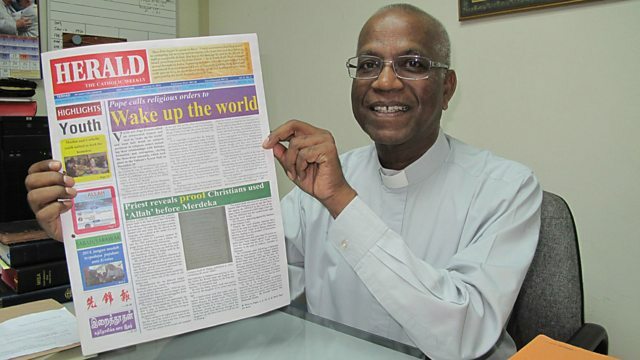 The battle to use the word Allah to refer to god between Malaysian Christians and Muslims. The word Allah is an Arabic word for God widely used by both Muslims and Christians in the Middle East and in parts of south-east Asia. But recently a court in Malaysia banned Christians from using the term. The dispute over who should be allowed to use the word Allah has led to attacks on churches and some Muslim prayer halls in the multi-faith country. Now Christians are fighting for the right to use it. Church leaders say that Malay language bibles have used the word Allah to refer to God for centuries. Some Muslims, however, disagree and fear its use could encourage their followers to convert to Christianity. There are around 2.6 million Christians in Malaysia from a population of 29 million.